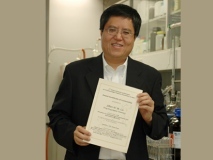 Professor Albert Lee, Chair Professor of Chemistry, was awarded the Asia Core Programme (ACP) Lectureship at the 2nd International Conference on Cutting Edge Organic Chemistry in Asia, held in Busan, Korea from 2 to 6 September, 2007. He will be invited to undertake a one-week ACP Lecture Tour in Japan next year, when he will lecture at three leading universities. 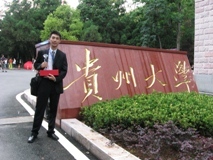 Tong Tat Ming, graduate of 2007 of the Department of Computer Science, has won the First-grade Award in the Amway Pan-Pearl River Delta Region Universities IT Project Competition 2007 held in Guizhou, China. His project entitled "Document Image Segmentation" aimed to identify text, headline and graphic components from a document image by rule-based method followed by k-means clustering. MPhil student Michelle Chow of the Department of Computer Science was awarded an IEEE Travel Grant which supported her to present her research paper in the IEEE International Conference on Communications in the U.K. in June 2007. 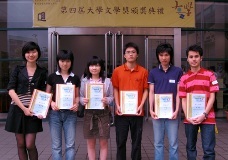 Po Ching Fung (third from right), Year 3 student of the Department of Mathematics, won second place in the poetry category of the 4th Intervarsity Creative Writing Competition organized by the University's Arts Faculty and Language Centre of the University.